Paul Tilleman's latest update of the of the All-Time Top 50 Lists include one throw athlete, a dash athlete in two events, and two distance athletes. 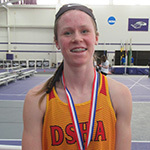 Track and Field Athletes from DSHA, Plymouth, Denmark and Stevens Point Area Senior High School were added to the Top 50 Lists. Sixteen senior girls and 16 senior boys have been selected as finalists to receive the prestigious 2019 WIAA Statewide Scholar Athlete Award underwritten by Marshfield Children’s Hospital. This year over 800 seniors from 417 high schools were nominated for the 2019 WIAA Scholar Athlete Award. Go to the Scholar Athlete Feature for 2019. The Lodi Blue Devils led by seniors Isabelle Clary, Mackenzie Heyroth and Rhianna Walzer won the Capitol Conference Quad at Marshall. Heyroth's marks in the hurdle events rose to the top of the HR lists while Walzer [100, 200, SP] and Clary [1600, 4x8] helped their team win the meet. 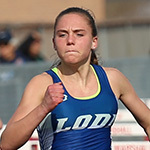 The Lakeside Lutheran sprint relay team won both the 4x1 and 4x2 events. 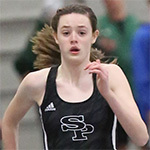 Ninth grader Roisin Willis helped SPASH win the team title at the Wisconsin Valley Conference Indoor Meet held in the Multi-Activity-Center on the campus of UW-Stevens Point. Willis won the 200m and 400m events. Her 400m time of 56.42 is a UW-SP MAC facility record. Go to the WVC Indoor Meet feature. Speed was the name of the game in the 55m events as a large group of talented sprinters and hurdlers competed at the W/TFA Indoor Championships. Amari Brown from Milwaukee King sped to a 6.96 win in the 55m dash while track and field standout Jadin O'Brien a junior from DSHA won the 55m HH event in 8.16. Go to 55m events. 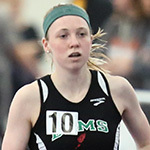 Wauwatosa East's Abby Wood in the 400, Sage Wagner from Ashwaubenon in the 800m, and ninth grader Kayci Martensen from Benton-Scales Mound-Shullsburg in the 1600m run were champions at the W/TFA Indoor Championships. Outstanding runners from D1, D2, and D3 schools competed at UW-Whitewater. Go to run events. Over 50 teams competed at the W/TFA Indoor Championships. Divine Savior Holy Angels edged out Milwaukee King, West Bend West, and Wisconsin Lutheran for the team title. Milwaukee King won the 4x200m relay while Lodi won the 4x400m relay event. Go to relay events. 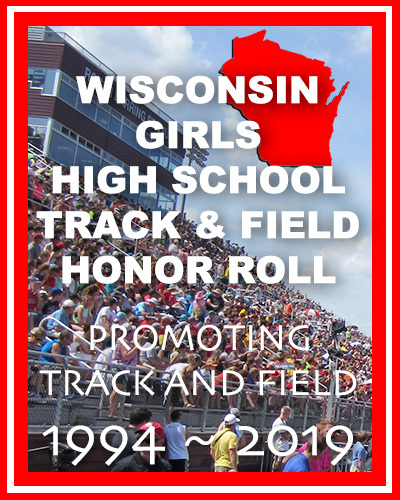 DSHA junior Jadin O'Brien won the Long jump, Nadia Vo from Franklin the High Jump, Olivia Fabry from De Pere the Pole vault, Kiarra Lee from Madison La Follette the Triple Jump, and Eve Goldstein from Somerset the Shot Put at the W/TFA Indoor Championships. Go to field events. Ripon College's Bob Wood and Ripon High School's Chris Gatzke and their staffs hosted the Red Hawk Challenge in the Ripon College Willmore Center Field House. A large number of teams and athletes from D1, D2, and D3 schools took advantage of the outstanding facilities at Ripon. Go to the Red Hawk Challenge. D1, D2, and D3 schools competed at Williams Field House on the campus of UW-Platteville. 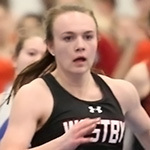 Albany's Libby Beck [D3, SP] and Westby's Grace Hebel [D2, 55m dash, TJ] had impressive nights in their events. Boscobel's distance quartet in the 4x8 and Cassville-Potosi hurdler Ashley Williams also moved up in the Honor roll listings for D3. Go to UW-Platteville High School Invitational. 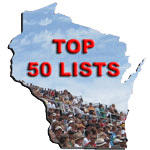 Data originally compiled by Mark Rongstad [2001-2007], Mike Krugel [2009-2016] and now compiled by Paul Tilleman highlights the history and tradition of track and field by listing the Top 50 performances in each event. Go to the 2019 Top 50 updates. This feature highlights the plans that 2011, 2012, 2013, 2014, 2015, 2016, 2017, 2018, and 2019 graduates have for competing at the college level. The top 6 performances in the finals of the State Meet determine the makeup of the All-State team. 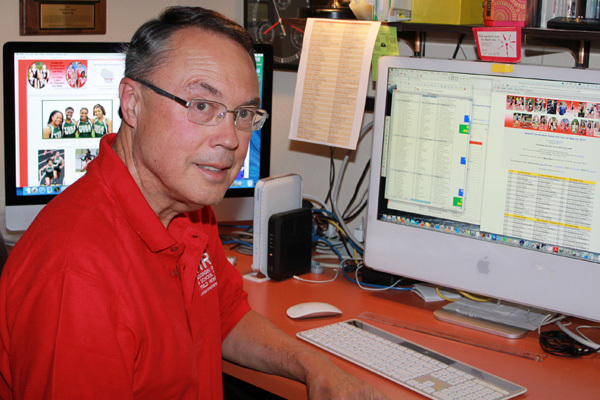 WISTCA will announce the Athlete of the Year award after their summer meeting in late July. More at All-State. Former high school athletes competing at the next level. Updated 2018 link. This Facebook link gives a quick summary of many of the Wisconsin Track Online features.